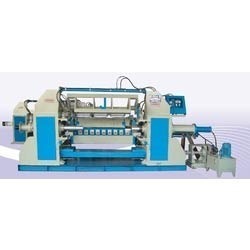 We are one of the established manufacturers of a qualitative range of Rotary Log Peeling Machines. These are precision-engineered using quality raw materials and in compliance with the international standards. We also offer these Rotary Log Peeling Machines in customized specifications as per the requirements of our esteemed clients. Our clients can avail from us a comprehensive range of Rotary Log Peeling Machine. These are manufactured using quality raw materials and precision techniques of fabrication and widely used in Veneer making industries. Our range is engineered to perfection and is widely demanded for rugged structure, anti corrosive nature and minimal maintenance features. Moreover, these are available as complete fix model at base frame and fitted with heavy duty back-up roller. Through Four Line Chain Sprockets. 80 mm x 100 mm JANATIC Company. 75 mm x 50 mm JANATIC Company. Our Rotary log peeling lathe machine is best for easy use and maintenance free. Looking for “Rotary Log Peeling Machine”?